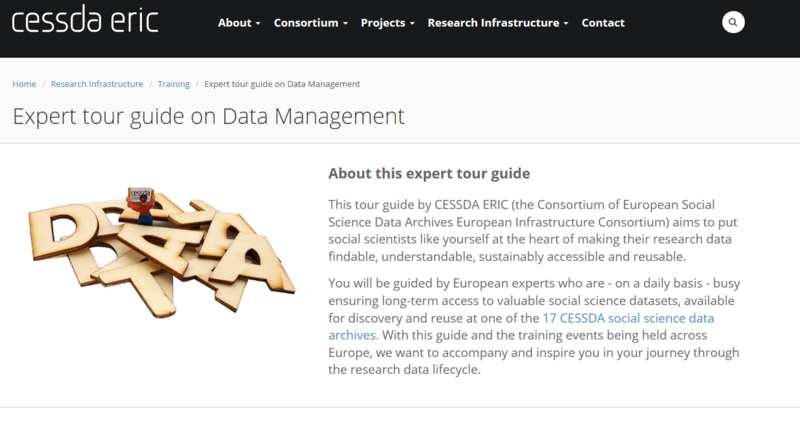 The new CESSDA Expert tour guide on Data Management has been put together by a group of experts in research data management from across Europe who make up CESSDA – the Consortium of European Social Science Data Archives. This consortium includes 11 European social science data archives, including the UK Data Service. As well as numerous examples and expert tips, the tour also includes specific information on data management practices in different European countries. This entry was posted in Research Data Management, Tools, Training opportunities. Bookmark the permalink.